While it is only a two day suspension most feel that it is an overreaction by ESPN for something that was obviously done in good humour. It was a great reply! This suspension is ridiculous. Its sport for crying out loud. 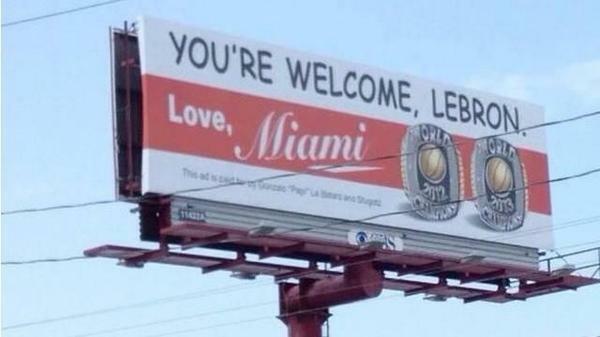 I’m sure even LeBron James had to smile when he saw those billboards.